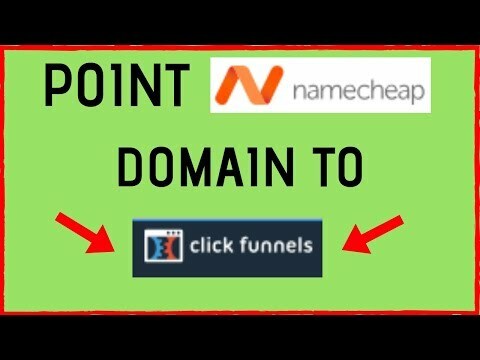 If You Don’t Want To Get a Domain Through Namecheap, Just Skip To 3 And You Can Get Your 1st Free Domain Through Clickfunnels. Buy or Choose a existing domain name inside your namecheap account, next go to domain name list and select to manage the domain of your choice (By Clicking ‘MANAGE’) then click on ‘ADVANCED DNS’ Tab, then add a New Record, Under TYPE select ‘CNAME’, under HOST enter ‘WWW’, under VALUE enter: target.clickfunnels.com, under TTL choose the ‘AUTOMATIC’ option, then click the green check to SAVE! Enter your domain with the WWW. then select ‘CNAME’ and make sure its pointing to target.clickfunnels.com. Once you see green checks next to the different Countries… go to step 3. Then scroll over your pic icon (top right corner) and select ‘DOMAIN’ in the drop down menu, click ‘ADD NEW DOMAIN’ on top select the ‘USE A EXISTING DOMAIN’ option, enter your domain name and click the ‘ADD DOMAIN’ button, then click the submit button on the next page, (the domain should read ‘Verified’ at this point) then click on the domain and select to add a ‘SSL’ certificate and add it. Then click that option again a verify it. That’s it! Your domain should be ‘SECURED’ and ready to use for any funnel of your choice, inside your CLICKFUNNELS account. Follow the steps in the video for all details. 2 replies to "Point A Namecheap Domain To Clickfunnels TUTORIAL [Then Set To Your Funnel]"